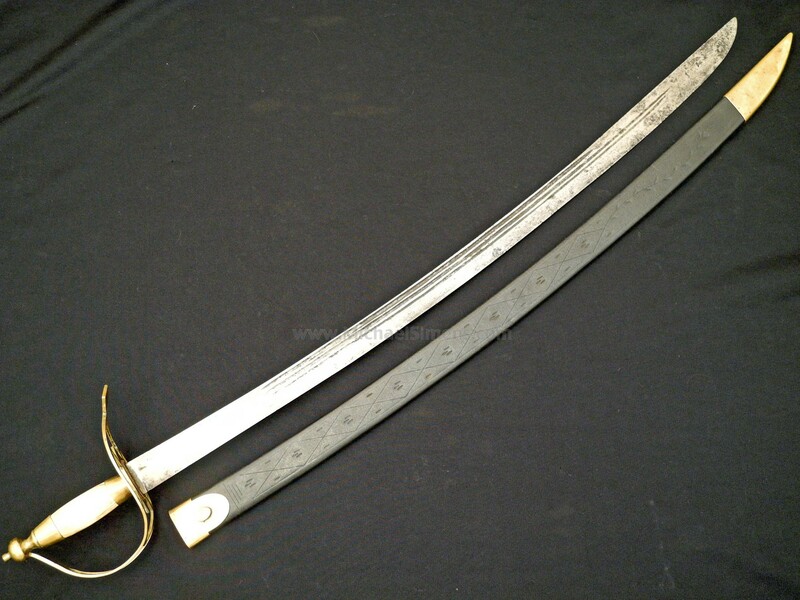 This a very rare and original Revolutionary War Horseman's Saber and possibly made for a Dragoon or Cavalry Officer. It has a classic, Revolutionary War wagon-wheel hilt with a bone grip, the only one of its type that I've ever seen. The triple-fullered blade is 33 inches long and measures 1 & 3/8" wide at the ricasso. 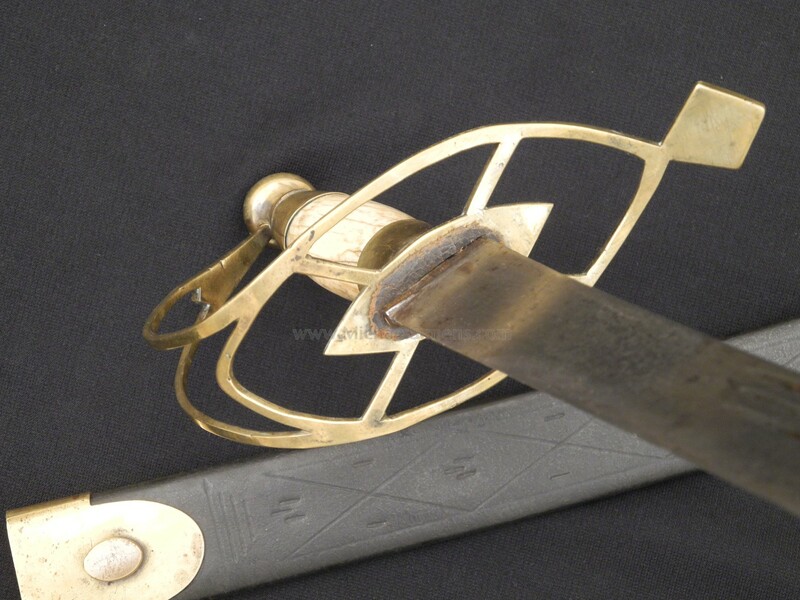 The wagon wheel pattern is one of the most identifiable feature of a classic Rev-War Officer's Sword, but to find one like this is unusual and rare. 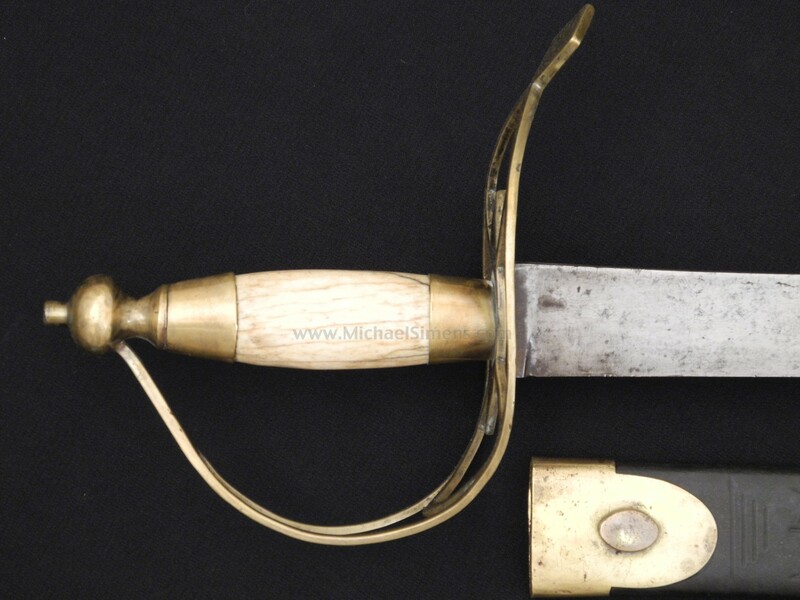 The collector that owned this had the reproduction scabbard made for it to match the construction and features of a Rev-War scabbard to include tooling on the leather. I know many collectors from other periods of interest that have told me they'd like to own something carried during our War for Independence. If you are such a collector, this one might be a fit.